PBI President Doug Cinnella, Steve Hayward, founder of the Baseball Health Network (BHN), and New York Yankees team physician Dr. Christopher Ahmad are teaming up to bring you PBI’s Rehab Throwing Program. 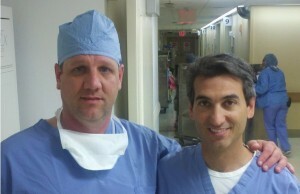 Click here to read Dr. Ahmad’s testimonial for Steve Hayward. More and more, we are seeing young athletes start to specialize in a particular sport at an early age. There is a large number who play at least 6 straight months of spring and summer baseball; many continue to play through the fall. Nationwide, statistics show that many of you have experienced pain in your throwing arm. From low level pain, to injuries requiring surgery, more and more pitchers are having their seasons affected, even ended, due to arm pain. *** The fact is most of these injuries could be avoided if players properly conditioned their body and throwing arm prior to the start of the season, then maintained it throughout the season. If you are one of those players who experienced pain or discomfort throughout your spring or summer season, you need to understand what caused those issues and how to prevent them in the future. Although there is no 100% guarantee for a player to avoid serious injury in any sport, there are steps that can be taken to drastically increase your chances of Pitching Healthy. Professional Baseball Instruction, in conjunction with the Baseball Health Network is announcing the NEW Rehab Throwing Program. In the video below, Steve Hayward takes you through some of his rehabilitative throwing and plyometric strength training exercises with a then-13-year old left-handed pitcher Trevor Backman who had fallen victim to two throwing arm injuries. Following his rehab throwing program, Trevor put together two of the best spring and summer seasons of his young career. The Rehab Throwing Program has been developed to help every player who has experienced some level of pain in their throwing arm. Whether it’s strength and conditioning issues, mechanical flaws or one of many other causes, we will help you identify and address the problem. You will also learn to listen to your body, detect the warning signs and follow the proper protocol to prevent further problems. Don’t wait until you are injured to seek help, sign up for The Rehab Throwing Program and find out what it takes to stay pain free and on the field Pitching Healthy!!! 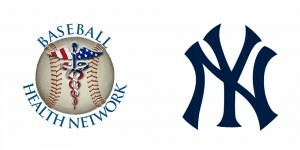 The Baseball Health Network was founded by PBI’s Steve Hayward in 2012. Working closely with New York Yankees team physician Dr. Christopher Ahmad, Steve is dedicated to protecting the health of your child’s throwing arm and has observed various arm surgeries performed by Dr. Ahmad.